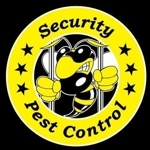 Security Pest Control is a family-owned business which provides pest control and wildlife removal services to customers in the Canton area. We use environmentally safe control measures for insects, rodents, bed bugs, live animal trapping and other small animals. We are committed to providing you and your family a pest-free and safe environment. In addition to pest control and wildlife removal services, we also offer exclusionary methods to prevent pest infestation from occurring again. We offer our services to residential, commercial and industrial customers. To learn more about our pest control services, call us at (734) 335-8521. Call Our Rat Exterminator Now! Copyright © 2018 spcbugfree.net All rights reserved.